Willard Scott Gave Us A Hilarious Shout-Out! 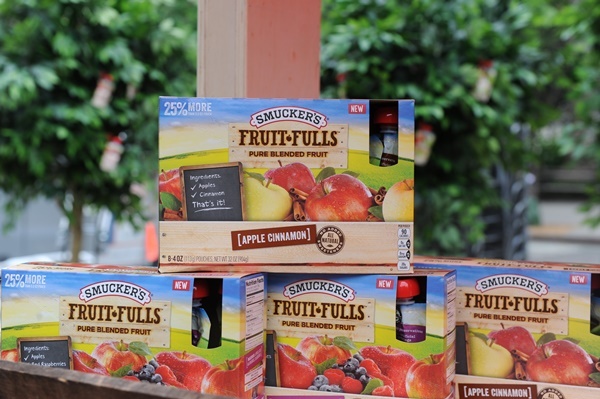 I received a few pouches of Smucker’s Fruit-Fulls in the mail recently. Then I received an email saying that they were planning an event in New York and since I couldn’t be there, they were going to try to set up a shout-out for the blog from Willard Scott. I wasn’t sure if it would happen, but I kept my hopes up. Today, I was checking my email and there it was! You have to see this! It’s hilarious and I’m so excited! I have to say that watching that video made my day! When I was pregnant with Kora we knew we wanted to name her something unique but we also knew we didn’t want to pick something as different as my name. 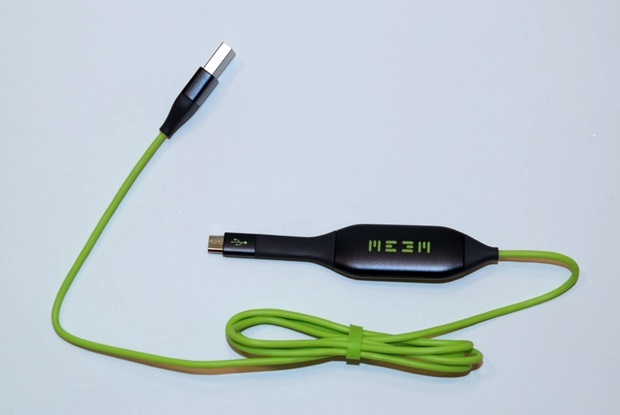 We wanted it to stand out but we didn’t want it to be difficult to write, read, or pronounce. Since I found myself drawn to old-fashioned names, I always made it a point to watch Willard Scott’s Smucker’s birthday segment on the Today Show. I loved how he sent out birthday wishes to centenarians and it was a great way to discover some wonderful old-fashioned names. Watching Willard’s segment was a big part of my pregnancy and even today I still watch it whenever I can. I find it inspiring and he is so funny, I always find myself having a good laugh along with him too. That’s why I’m over the moon about this personalized shoutout. It means a lot to me and the style he did it in was so comical! Remember the event in NYC that I mentioned above? 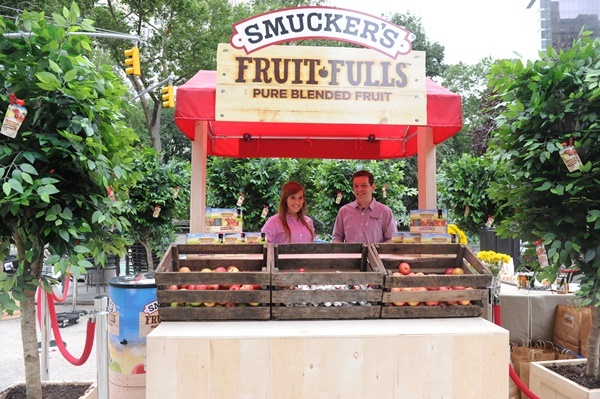 Here are the details and some pictures Smucker’s Fruit-Fulls sent over. 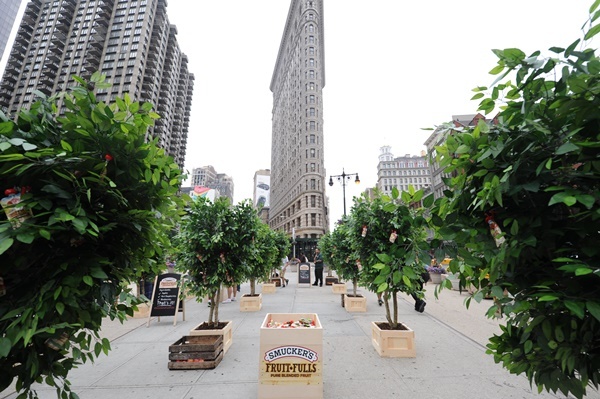 To celebrate the launch of Smucker’s Fruit-Fulls, the Flat Iron District North Plaza in New York City was transformed into an orchard! 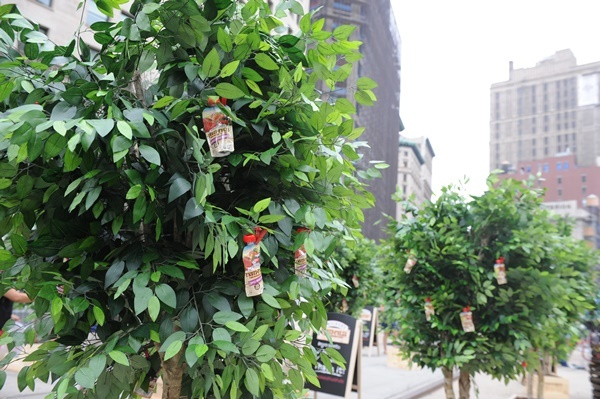 More than 30 trees were packed with Fruit-Fulls and according to the Smucker’s Facebook Page, guests who strolled through were able to hand-pick a pouch. Willard Scott was there to film a segment right from the orchard. 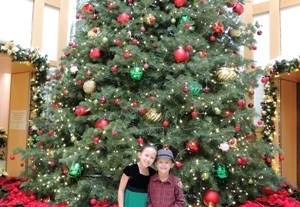 You can see his Smucker’s Birthday Wishes segment from the orchard here. 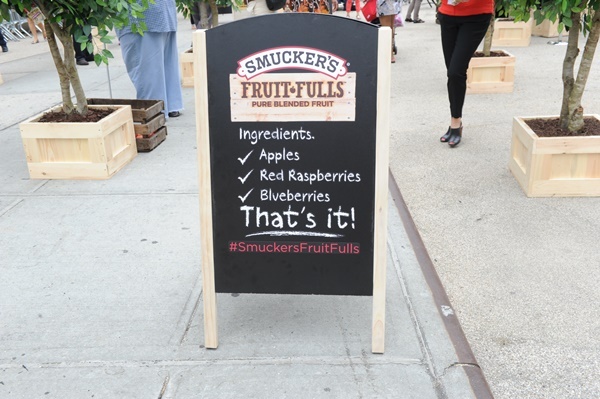 This pop up orchard looks like it was lots of fun and it’s a great reminder of the simple ingredients in Smucker’s Fruit-Fulls. You can see more photos from the event on the Smucker’s Facebook Page. 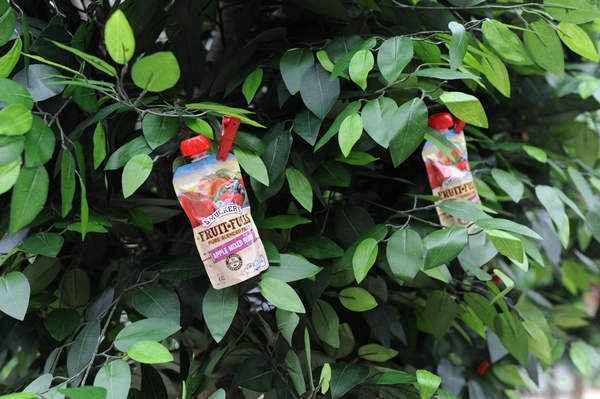 We recommend Smucker’s Fruit-Fulls to anyone looking for a great on-the-go snack choice. Whether it’s for you or the kids in your life, they are a flavorful and refreshing snack made with simple ingredients. That was a fun experience. 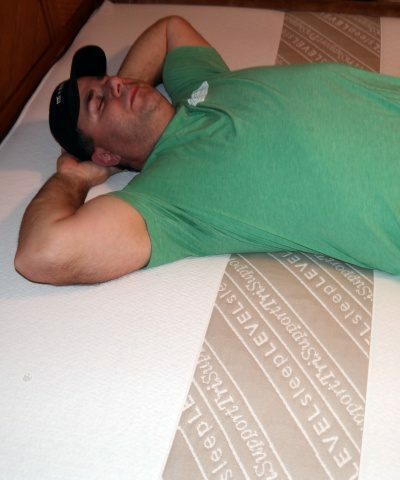 You get to do so many interesting things. Funny :-) Wow, looks good. Cannot go wrong with Smuckers. Ha so funny, love it! 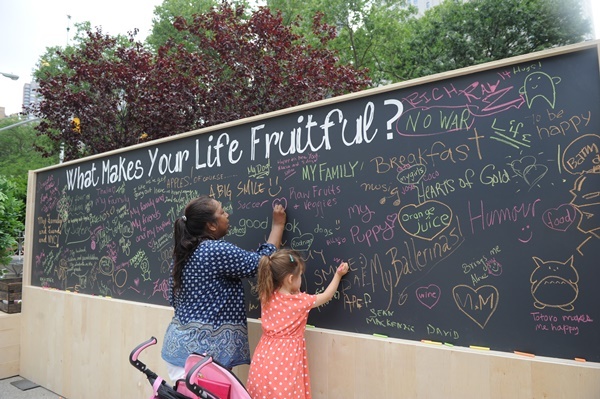 We have not tried the Fruit Fulls yet. Very cool. I love smuckers! Great Video Shoutout! I Love Willard Scott And Smuckers! This is to funny! You have to love good old Willard. I like that these are all natural. Plus with Smucker’s you know you are getting quality. I will have to look for them at my store. Thanks! Love the video! These sound really good. I agree, freezing them is a great idea! 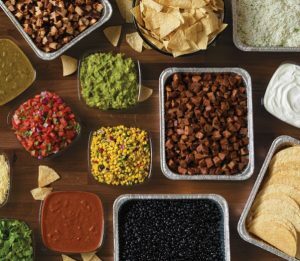 These look really good, and I love that they are all natural. Too funny!! And those look really yummy!! I bet they would be good frozen and sort of slushy!! Willard has been around forever and he has always been an advocate for Smuckers. I just love that brand of jelly/jam and all that you can use it for! i think these would me amazing if you froze them as well. 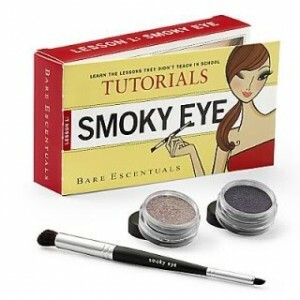 I love that the ingredient statement is short, simple, and has no chemicals.